Trishna is the Founder/Director of Sikh Sanjog the only Sikh Family Support charity in Scotland and Punjabi Junction Social Enterprise the first Sikh women’s Social Enterprise in Scotland. She is a first generation Scottish Sikh having been born in Glasgow in the 50’s. Due to cultural restrictions she left school at the age of 13. In 2007 at the age of 51 she graduated from Glasgow University with a Degree in Community Learning and Development. In 2014 In recognition of her services to the Sikh community she became the first Sikh woman in Scotland to receive an OBE. She is the First Honorary Sikh Chaplain to be appointed by Edinburgh University. She is on the board of Interfaith Scotland and the Scottish Ethnic Minority Women’s Network. She has over 30 years’ experience working in the Voluntary sector her work is centred on the thematic areas of Community Development, Gender- Social Justice, Civic Engagement, Race Equality and Human Rights. Trishna is passionate about the ability of the voluntary sector to engage with communities in helping the people and the environment around them; and firmly believes that the flexibility, creativity and tenacity of the voluntary sector will be crucial in tackling the problems emerging as a result of tough economic times. 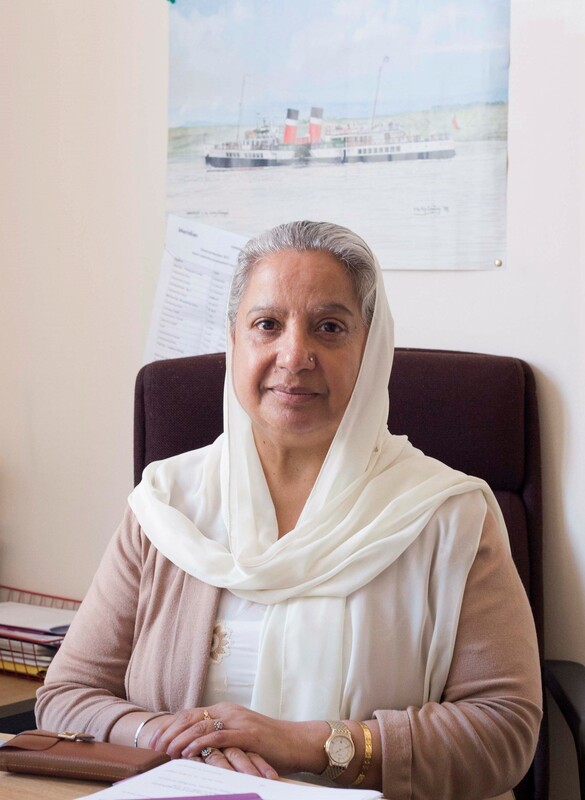 Her wealth of experience together with her knowledge of ethnic communities and their needs has resulted in her being asked to represent the Sikh Community in a variety of arenas both statutory and voluntary.